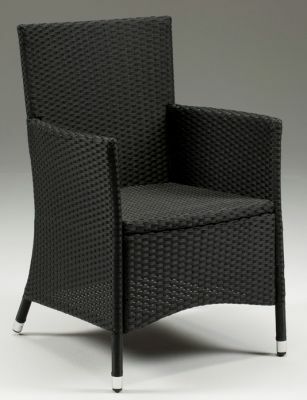 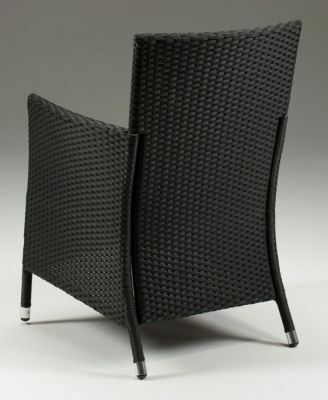 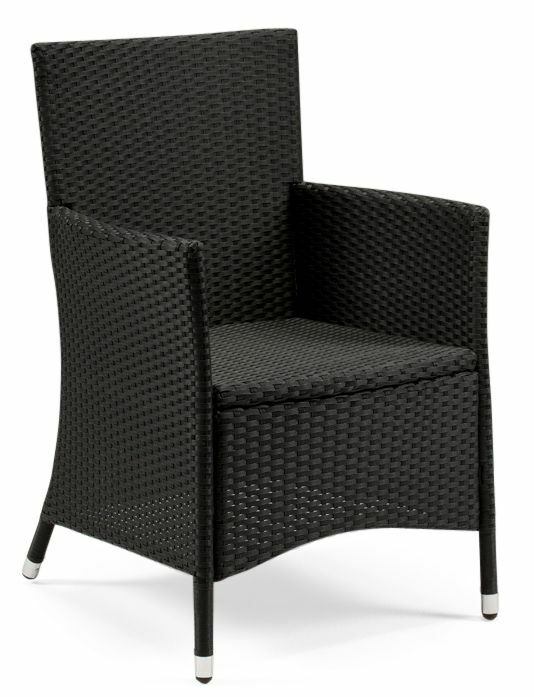 Black imitation rattan armchairs for outdoor use. 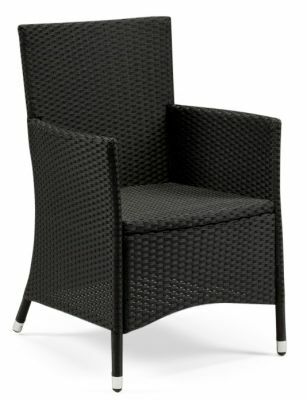 Low maintenance and colourfast. 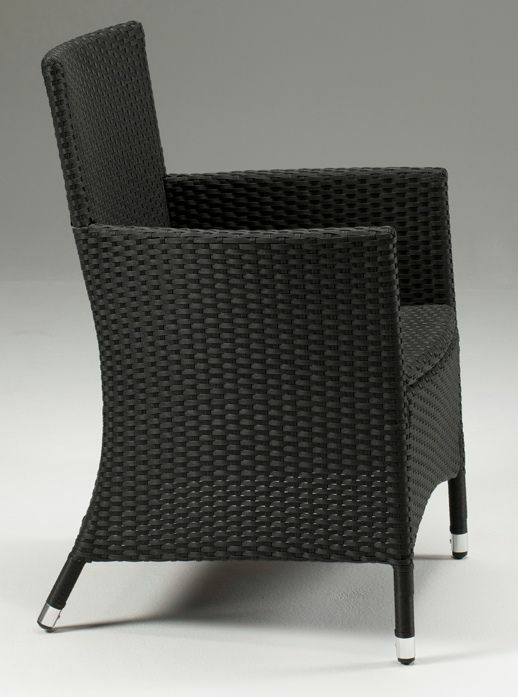 Theses chairs are stackable and designed for indoor and outdoor commercial use.